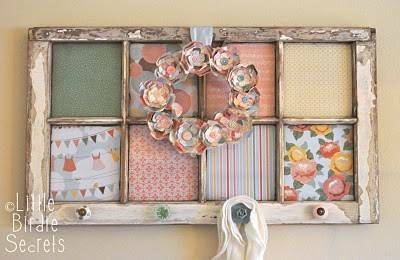 Creative ideas to reuse and recycle old wood windows and doors can save lots of money on home decorating and help add fabulous artworks to modern interior design. Lushome shares a collection of design ideas to reuse and recycle salvaged wood windows and doors for unique bed headboards, shelves and modern wall decorations. Old wood windows and not energy efficient, so you need to replace them. 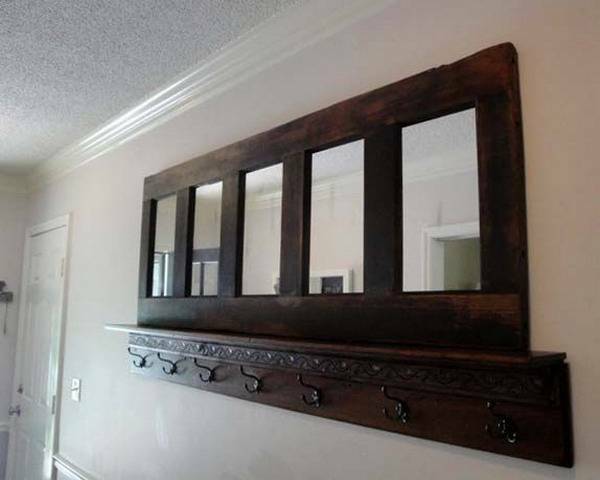 Turning salvaged wood windows and doors into interesting home furnishings, room dividers, unique furniture pieces, wall decorations or outdoor home decorating accents helps personalize modern homes. 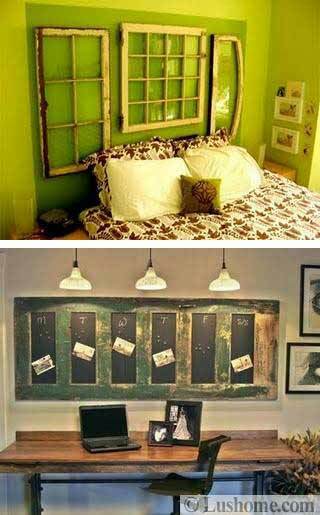 Creative design ideas to reuse and recycle salvaged wood windows and doors is eco friendly and inspiring, offering wonderful DIY projects for all who support Green living concept and appreciate items, especially wall decorations and furniture in vintage style. 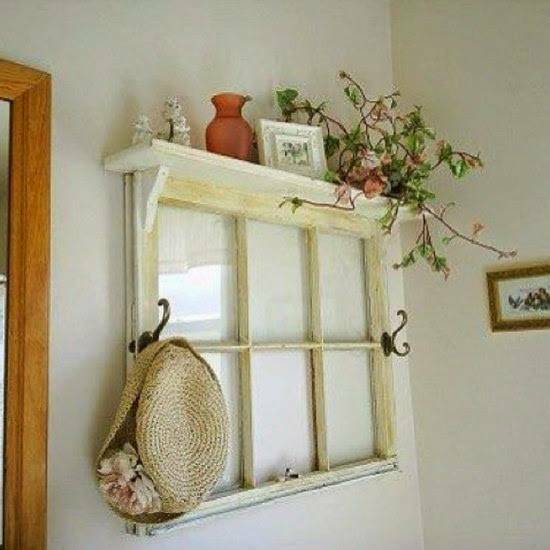 Old windows sashes provide a great material for eco friendly home decorating on a budget and allow to show your creativity and resourcefulness while enriching modern interior design with original and striking items. 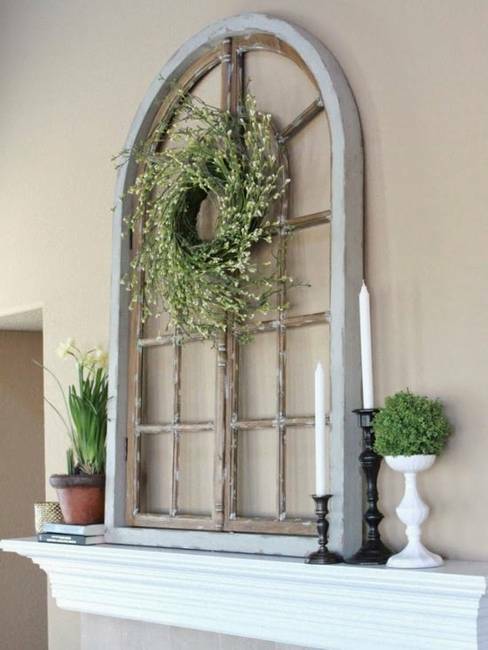 Old wood windows and doors have sentimental values. These functional architectural elements of house design look charming, blending vintage style design with amazing texture and unique shapes. 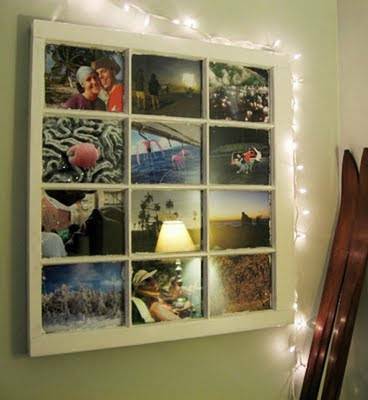 You can turn them into true artworks and decorate your home with salvaged wood windows and doors, adding more meaning to modern interior design. 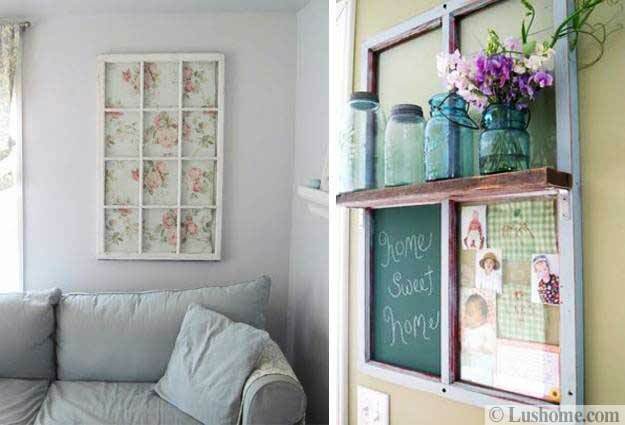 Simple and elegant design ideas that allow to reuse and recycle wood windows and doors for modern wall decorations are wonderful, versatile and cheap. 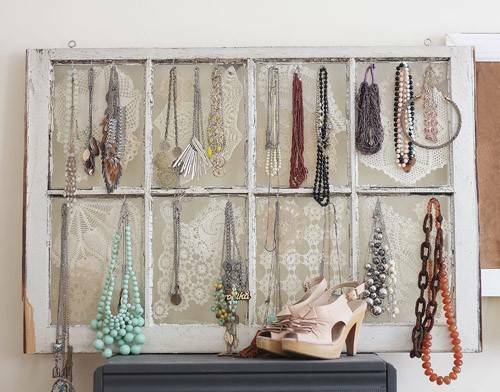 Wall shelves, storage racks and artwork frames recycling salvaged wood windows and doors look fabulous, bringing natural colors and pleasant texture into modern interior design. 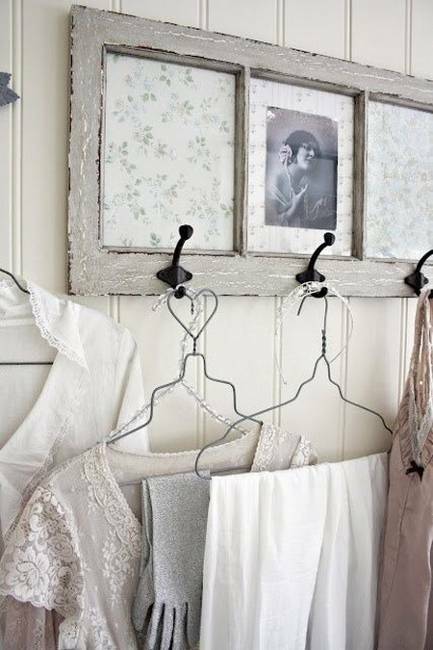 Original bed headboard ideas, picture frames, wall shelves and jewelry organizers, – all these items made with old wood windows and doors make functional and attractive home furnishings and offer modern wall decorations in vintage style that enhance the beauty of country homes, eclectic and traditional interior design styles. 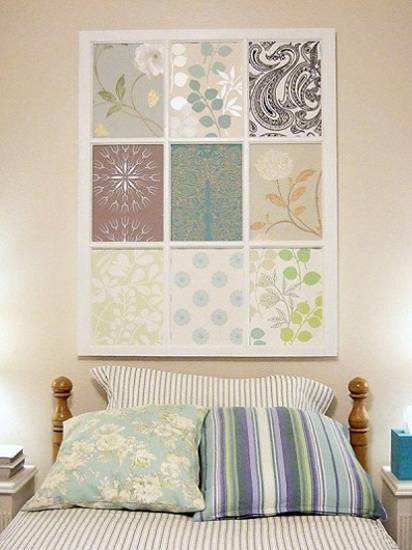 Artworks that reuse and recycle glass and window sashes can be placed in any room and hang in kids rooms. The glass in the window sashes can be cleaned, and then painted, creating very attractive, colorful and modern wall decorations in vintage style for your home. 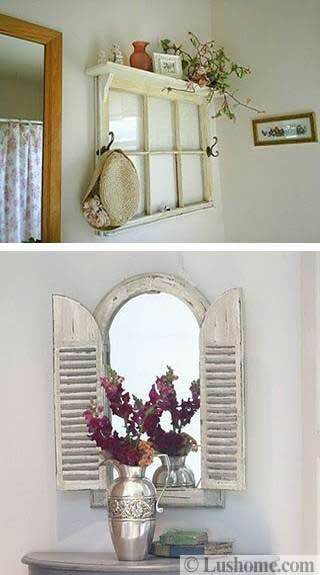 Salvaged wood windows and doors do not really need to be completely refinished. 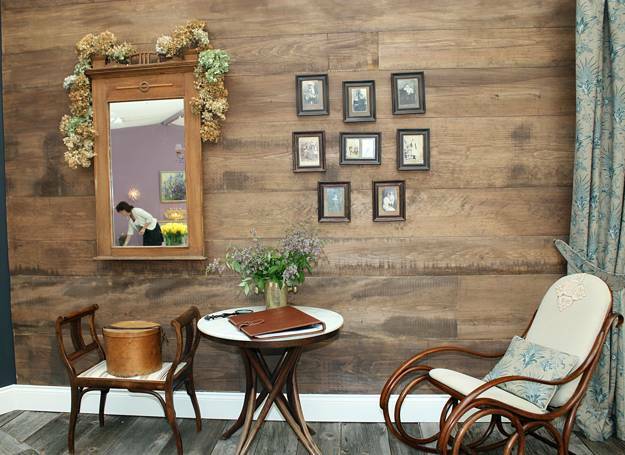 The old wood texture and color are amazing, perfect for rustic interior design and creating eco friendly, natural and beautiful centerpieces. Wood windows sashes can be stripped and sanded, painted and decorated with geometric and abstract patterns, floral designs and colored glass painting designs., which add charm and chic to modern wall decorations that help reuse and recycle old wood windows and doors in creative and artistic ways. 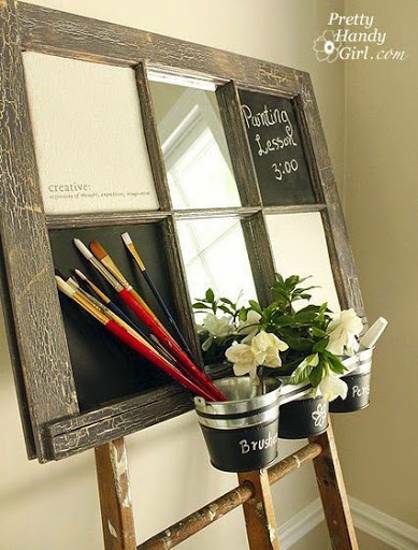 Simple painting ideas and matching your interior design colors help to blend salvaged wood windows and doors with existing home furnishings and brighten up home decorating ideas. 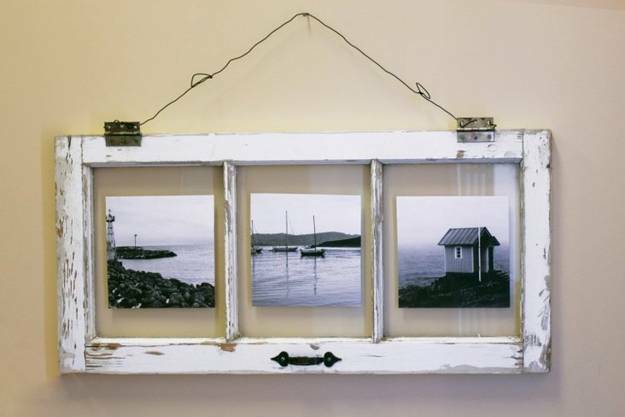 These wall decorations look fabulous in rustic cabins, country homes and contemporary apartments. 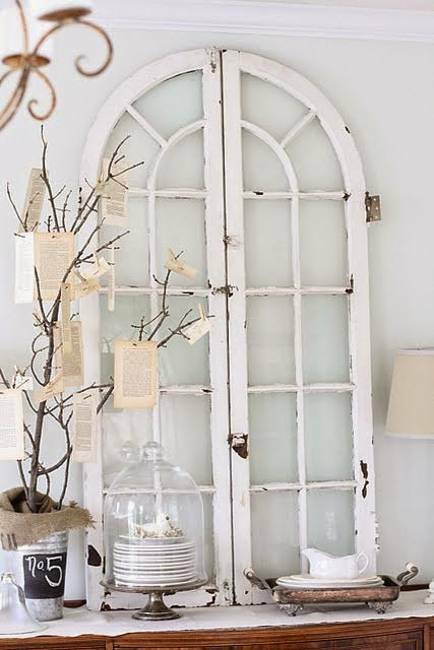 There are many possibilities to accentuate modern interior design with salvaged wood windows and doors. 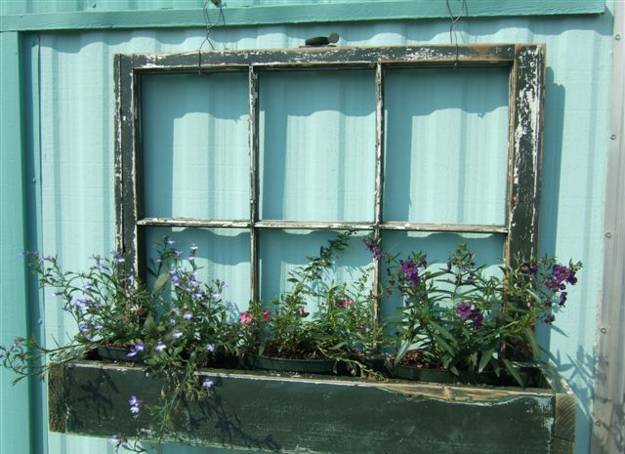 How you reuse and recycle your old window sashes will be your creative decision, and the Lushome collection gives just a few design ideas for salvaged wood and glass recycling projects.